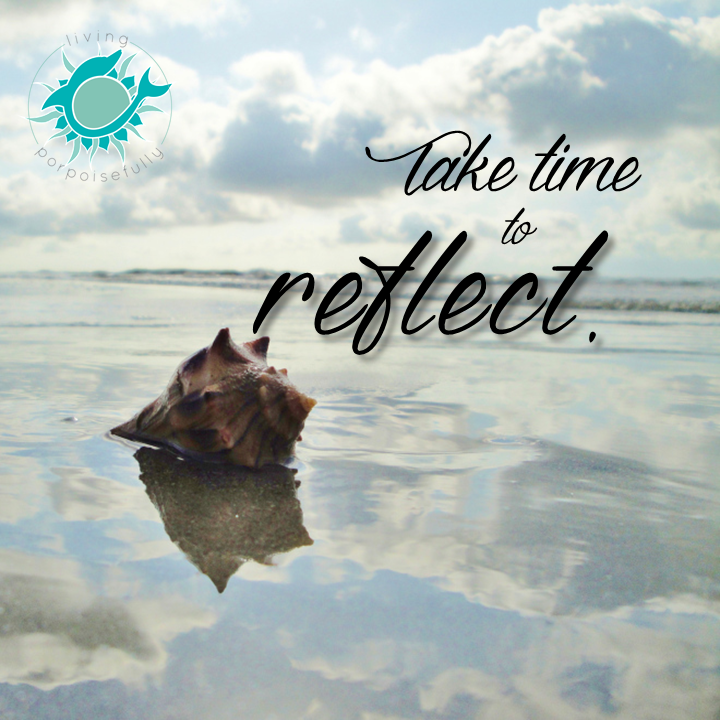 This shot on the beach is the perfect reminder to take time to reflect. What is it about water that makes us reflect on life? We love this picture that we took while on Hilton Head Island beach. The scene made us stop and marvel at the beauty of what we were seeing as we tried to capture the photograph. It was the perfect setting for pausing to soak in our surroundings and reflect on life! We hope the scene inspires you too to take some time to reflect.